These are some of the highlights for me in the video. I would suggest that you watch it for yourself. In his practice, Dr. Sankaran’s patients are feeling better from homeopathic care. He sees that what brought the person in to see him is better, as well as the person is feeling better in themselves. This is what any homeopath looks for in the treatment. Not to worry if homeopathy is logical or not. Simply watch the results. Science is what actually happens. We don’t always understand it at the time. Later on, we may understand it. If we don’t understand it, that doesn’t mean it doesn’t exist. 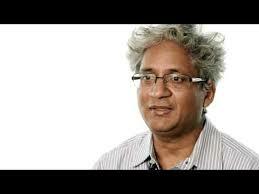 Dr Sankaran gives the example of the apple falling from a tree/gravity. Western medicine looks at the parts of a person being ill. And treats that part; treats it locally. This is similar to a car being worked on, replacing the part. The human body is not like that. Each of us is a whole being. All the systems (parts) of the body are integrated and act as one being. We are not parts. We need to treat the whole person. Each person has their own individual specific state of disease. The homeopath perceives, reads, understands, observes each person’s own unique state. A homeopathic remedy or medicine is then selected that is like this person’s state. This produces a healing. Stress is extremely individual. It is inside us, not outside of us. It is how each person perceives, experiences, responds and reacts to the situations in their life. This video further shows how homeopathy fills a need for people in their health care. So many people experience chronic diseases, and are not doing better from the treatment they are receiving through western medicine. With homeopathy, the individual and their wholeness is being seen and treated. Then there can be a true healing. Categories: chronic conditions, classical homeopathy, Dr. Rajan Sakaran, Dr. Rajan Sankaran, holistic medicine, homeopathic principles, homeopathic remedies | Tags: classical homeopathy, healing, health care, homeopath, homeopathy | Permalink.